LAWRENCE — The University of Kansas Libraries are now accepting applications for the fourth annual Research Sprints, a program offering faculty and academic staff the chance to work intensively with a team of expert librarians for one week on a research or instruction project. Research Sprints will take place the week of May 20-24, with a showcase event on the final day. In the spirit of advancing greater access to research and education, the 2019 Research Sprints will focus on initiatives that incorporate Open Access components, and each selected project will be awarded a $1,000 stipend. 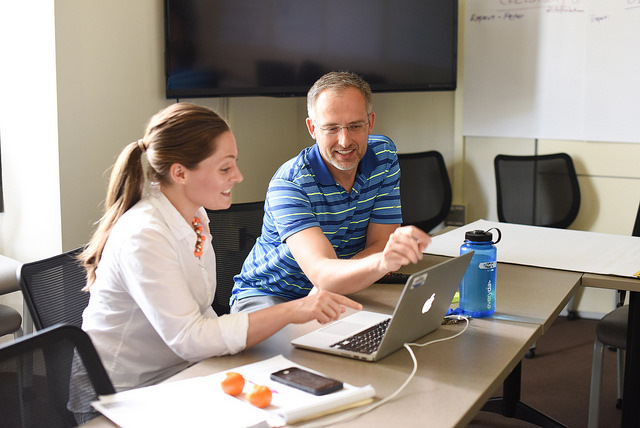 Teams of faculty and librarians will be assembled to advance their Research Sprint proposal, coming together for a week of focused work without distractions to produce a tangible product or outcome. Proposed projects need not be stand-alone; they may be a component or a module of a larger project that helps meet a well-defined milestone toward a bigger goal. Individuals or combined groups of faculty may apply. KU Libraries faculty members offer a range of expertise and topic-specific proficiencies, including digital pedagogy, digital scholarship development, grant writing and course assignment redesign, to name a few. The libraries will host an information session from 11 a.m.-noon Feb. 5 in Watson Library, Room 455. Interested applicants are invited to attend to learn more about the program, discuss the application process and share their project ideas with one another. To RSVP, please email researchsprints@ku.edu. Completed applications are due by 5 p.m. March 8. More details on the application process can be found on the Research Sprints information page.